This one has good reviews to. Lots of pellet grills out there. Rec Tec seems to be one of the better ones. Green Mountain Grills (GMG) makes some good grills also. I have two different sizes of GMG smokers & they both do a great job and are pretty well made. Yep, I have a GMG, but if I was buying a new one it would be a Rec Tec. Now that I have my GMG, the Bradley gets used less and less, but I do still use it, mostly for fish, cheese, and pork butts. Man those Rec Tec smokers are expensive. Would the analog Bradley smokers work just as good as the digital ones. The analog Bradley smokers are the same basic unit as the digital, the same 500w oven element,the same temp swings of 15-20 f. The digital unit does not have a pid and like it's analog brother needs one.The digital bradley has a number of timing steps that can be programmed. Imo get yourself an analog 4 rack and a pid from auberin controls and you'll have a smoker that will do everything the digital will do only better. Yes, but the analog requires more hands on time to maintain the desired temperature that you want. Again, I'm not suggesting to you what to buy, but providing more information for you to make an informed decision. You haven't really stated what you needs are. If you are looking for something that will take the place of your wood burner, the Bradley may not provide you with all the options you have with your wood burner, due to the lack of heat. But it would be a good supplement to your wood burner. If you are looking for something to provide a nice smoke flavor that can make good barbeque and also cold smoke, then the Bradley would be a good choice - it's just takes more time. In your other post you didn't state what type of wood burner you have, or will it also burn charcoal efficiently. If you are having problems with heat control, and not worried about cold smoking, their are several temperature controllers on the market that can help you control the temperature of you wood burner. The main one on the market is the BBQ Guru. If one of their devices have the appropriate adapter for your wood burner, purchasing one of those devices would be around the same cost as purchasing a Bradley smoker. I want one where I don’t have go outside and add wood chips to it every 30 minutes and temperature stays pretty accurate. The meats I usually cook smoked ribs. Later down the road I might try other stuff. The only brand of PID I see on Amazon is called inkbird. The one that I have has a small burn box on it and I cant keep the temperature up high enough on it. I feel like I run in and out of the house more than I should. I would like to get something where I know that it’s smoking good and the temperature is staying at a decent setting. If you are looking for good smoke flavor, as I mentioned in you other thread, try to sample some foods cooked on a pellet grill; without any sauce. 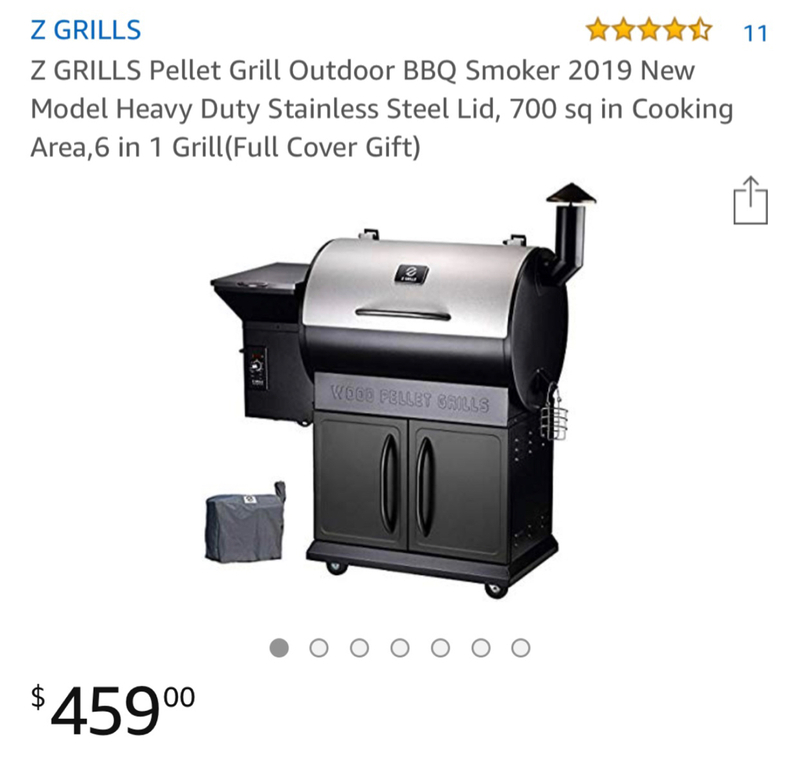 My experience with pellet grills; mine, and using other pellet smokers, you may not get the good smoke you are looking for. I have a GMC Jim Bowie, I've cooked on a few different Yoders, and huge commercial style pellet smokers; and ate food from these cookers. You are not going to get much smoke - if any. Are they convenient? Yes, and they maintain a fairly good temperature range; at least most of them. I use my pellet grill as I would my propane grill. If I want smoke flavor I use one of my charcoal burners, and control them with my Stoker. If you are burning wood you shouldn't need to add wood chips to add smoke flavor. If you are burning charcoal, use wood chunks instead of chips. There are times when I will apply smoke with my Bradley, then transfer to my pellet grill. I would suggest you do more hands on research before you pull the trigger on any piece of equipment. Each type of cooker has their strengths and weaknesses. You need to determine what fits your needs the best.